This is the true story of one family's fight against the unknown. When Jack and Janet Smurl and their family move to West Pittston everything seems quite normal. Until a mark appears mysteriously on the wall. An unplugged toaster catches fire. And Janet feels something sinister touch her in the bed. But these are nothing to the events that follow. Despite the attempts of parapsychologists and the church at ridding the house of its malicious spirits, things go from bad to worse. If you believe in the supernatural you'll be convinced. If you don't, you soon will. 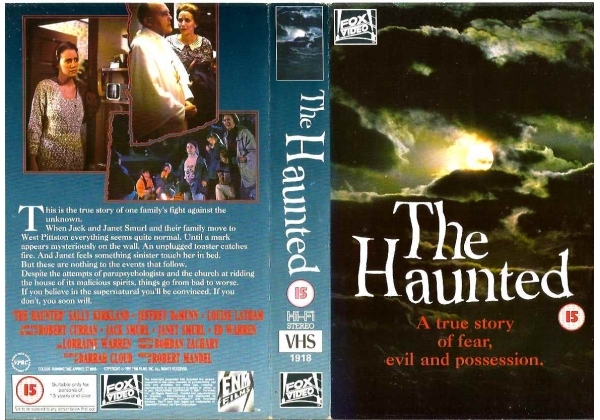 Or find "Haunted, The" on VHS and DVD / BluRay at Amazon.